When you think about supercars and how most people would treat them, driving in the snow is usually not at the top of the owners list of things to do. The only brand that is known to be able to handle driving in the snow is Lamborghini. Most recent models are all-wheel drive and Lamborghini does hold a few private events in the snow to showcase the cars ability to operate under tough climate conditions. Rear-wheel drive sports cars like Ferrari are not suited for this type of weather. It seems a particular Ferrari F40 owner did not get the memo, he takes his million dollar plus F40 for a fun ride in the snow. 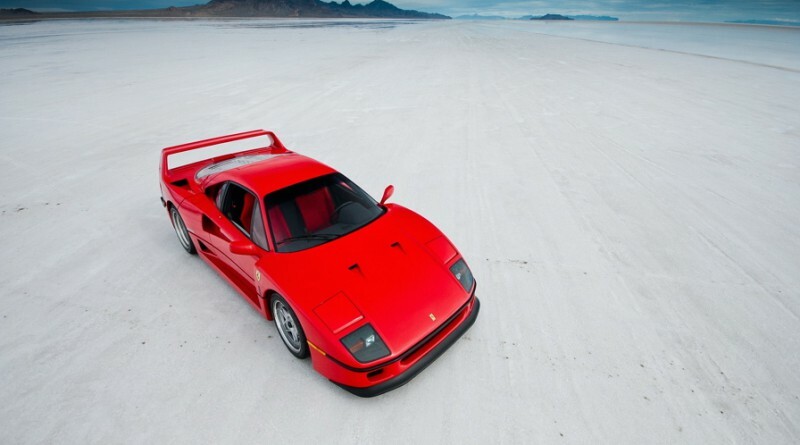 Most Ferrari F40’s are held up in either a dealership or a garage belonging to a private collector, usually these cars are stored in climate controlled environments. While it’s out of the ordinary to see someone put a car of this magnitude at risk, you can easily appreciate the owners sportsmanship and enthusiasm to ignore the rarity of the car and just go out and have fun. Make sure to watch the whole video with the sound on, enjoy!